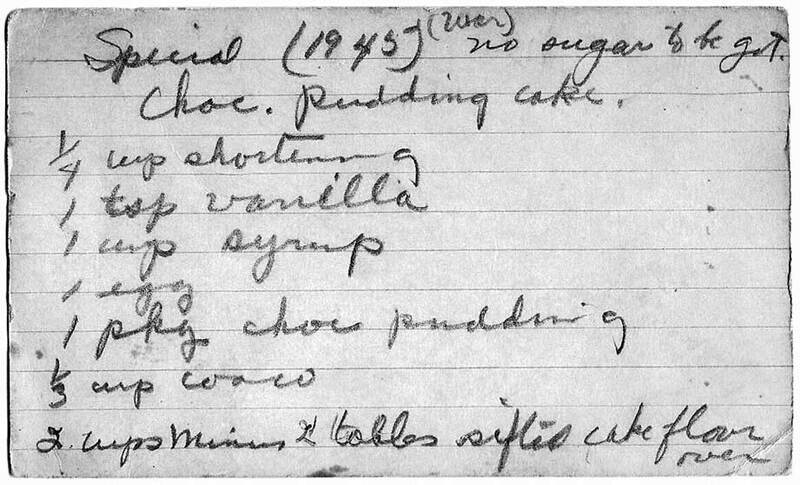 secondly, it is her 1945 war-time recipe. I must assume that it was different from her peace-time recipe but I do not have that one. She noted that sugar was not “to be got” and that she baked lots of them during World War II. Sadly, I do not remember the taste of Rhoda Timmer Abel’s cooking but I do remember the wonderful smell of the loaves of bread as she pulled them out of her oven. 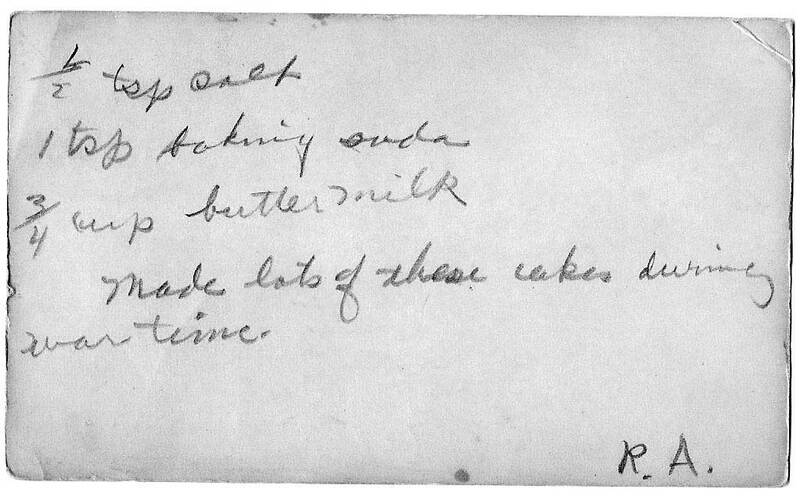 I suspect that she was a great baker; I still enjoy her recipe for oatmeal cookies.